Rest in peace Officer George. My dad served with you with the park district police before I was born. He will always remember you and the day you died with Scotty. Prayers for the repose of your soul. Rest In Peace Brother LEO. Thank you and your family and friends for your sacrifice and service. Paul will always be part of my life.. Haven his duty weapon framed on the wall next to his academy picture..this wonderful man,best friend, and hero .. May he rest in peace.. He treated me like I was his son.. And played with me.. When all the others were talking shop, while mom and dad hosted weekend breakfast for all the officers. My father put a gate in our fence so we cold use his pool next store.. The last time I saw him was hovering over the pool..in eagle 1..I will miss him everyday.. We all loved him..thank you Paul for being in my life.. Steve Kibbe jr. 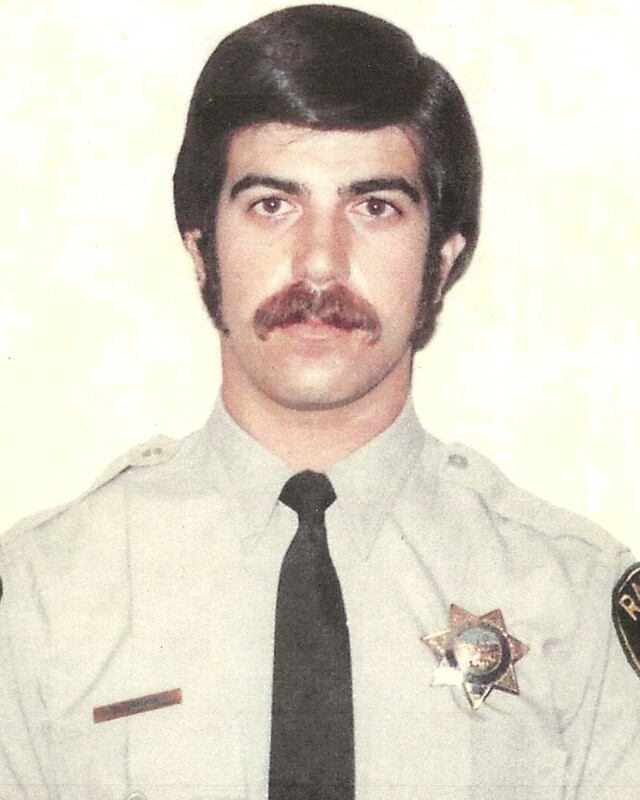 Officer George, Though 1974 is well behind us now, no doubt those who knew and loved you best feel like it was yesterday. A tragic loss for law enforcement as well. God Bless you Brother and may your eternal rest be always peaceful. To Paul my room mate in the police academy and my partner on many swing shifts, you are always in my memories. To Scotty, my mentor in so many areas, my first ride in the Bell 47, and my very first lesson. You too are always in my memories. You are both very good friends that are missed. Since 1974, June 4th has always been a somber day. Whenever you come into my thoughts though, I can smile now, because I remember your friendship, your great sense of humor, including, your practical jokes. But I mostly remember what a good man you were. Your professionalism, dedication and integrity. I loved working with you, you taught me so much. I very much wanted to follow in your footsteps. I was, and am, so proud to call you my friend. You, and Scotty were taken from your families, and all of us, far, far too soon. But knowing you as I did, I know both of you were doing exactly what you loved to do, and keeping the rest of us safe. God bless you, You will always be in my thoughts, you were the BEST! Rest in Peace, Officer George. Your sacrifice is not forgotten. As my career's end is coming closer, I decided to check and find those who had lost their lives during the year that I was hired. While it's been many years since your passing, I'm sure those you left behind and those whom with you served with distinction have kept you alive in their memories. Thank you for your service and for looking out for us who continue in our chosen profession. Rest in peace Officer George. Paul was full of life and energy. He was a great friend and dedicated to serving others. I often visit the peace officer memorial and honor Paul and remember our friendship. A good man lost too early. It has been thirty two years since your death, but you are not forgotten. Your valor will be forever remembered and honored. How very sad that you had to die at such a young age. It must have been a terrible blow to your department to lose twp officers in such a tragic accident. This reflection is sent with the utmost respect for the service you gave to the community and the citizens of California, and for the supreme sacrifice you and your family made on June 4, 1974 in the line of duty. Paul after all of these years you are still remembered as a hero. God bless you sir!